Es el bendito Guru global Ramakrishna." 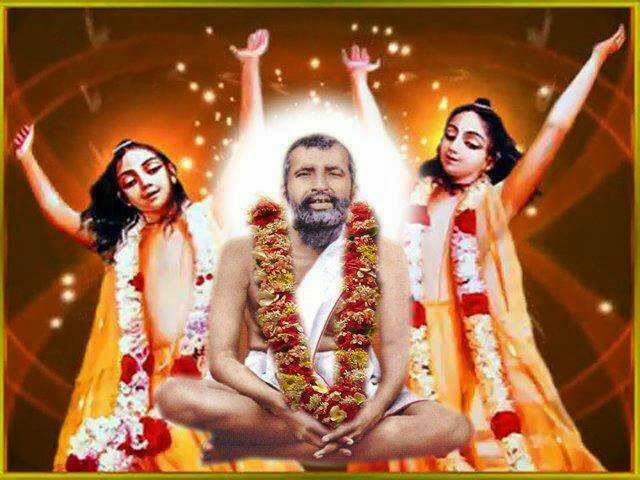 ENGLISH : He is the blessed global Guru RAMAKRISHNA under the disguise of any ordinary man! The divine eternal Mother shines through Him with so many bright divine qualities! So much of divine spirituality is achieved by bowing to Guru RAMAKRISHNA! One can easily manifest divinity, overcoming the limitations of human life! Look at Him! How wonderfully He shines with the Consciousness, Existence and Infinite Bliss; compassion, understanding and blessed sympathy; simplicity, humility, renunciation, pure love, harmony, and pure devotion; infinite power, absolute purity, detachment, and dedication to spiritual life! He is the blessed universal Guru RAMAKRISHNA! (Gracias a la Sra. Veronica Pomerane, Buenos Aires por este foto/imagen).